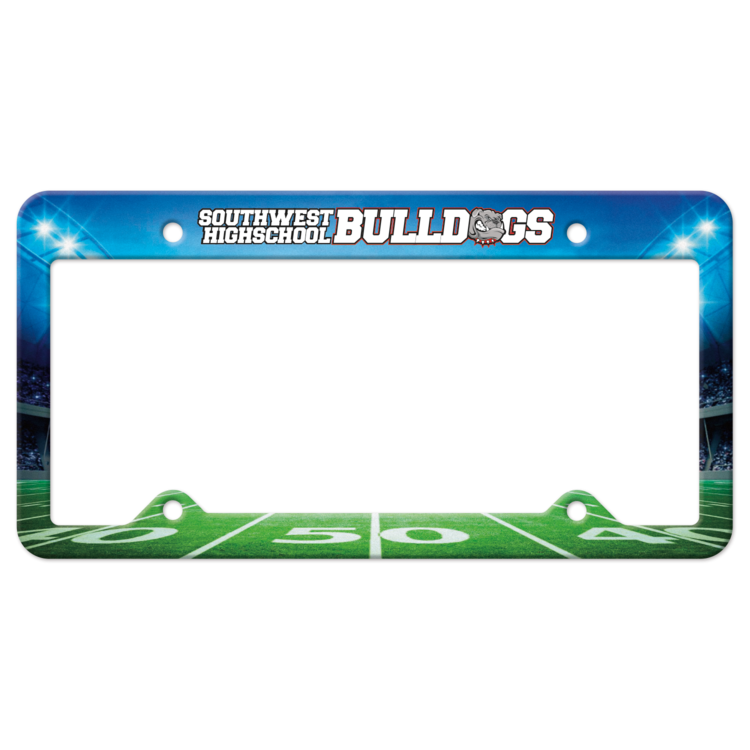 Choose from a variety of frame options with 3-5 Year outdoor durable inks. Durable plastic with multiple hole arrangements. Material: white molded plastic. Black will be furnished unless otherwise specified. Assortment: No charge for assortment of black and white frames with the same item number in multiples of 125 each. 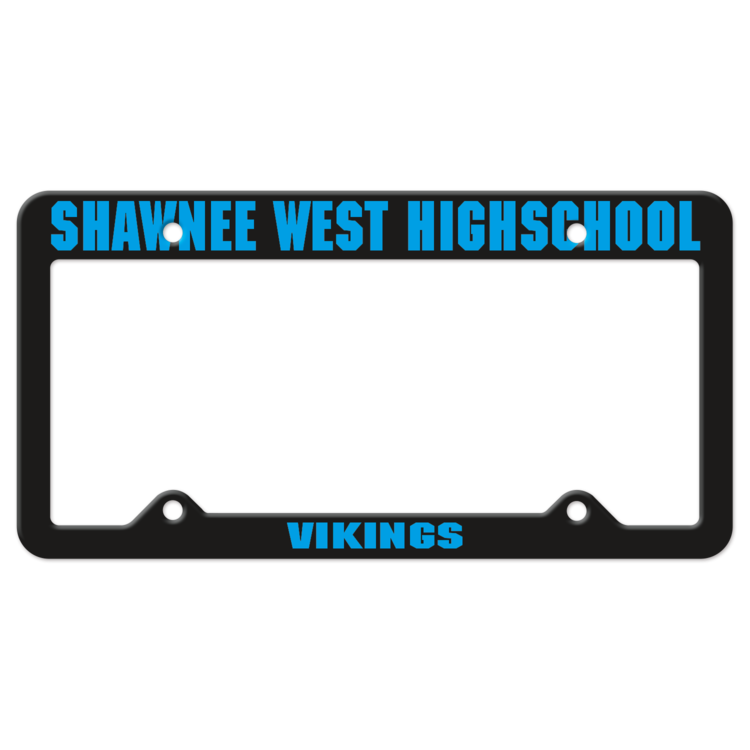 License frames may not fit all vehicles. Check fit and possible state regulations before ordering. Choose from a variety of frame options with 3-5 Year outdoor durable inks. Durable plastic with multiple hole arrangements. Material: white molded plastic. Check fit and possible state regulations before ordering. 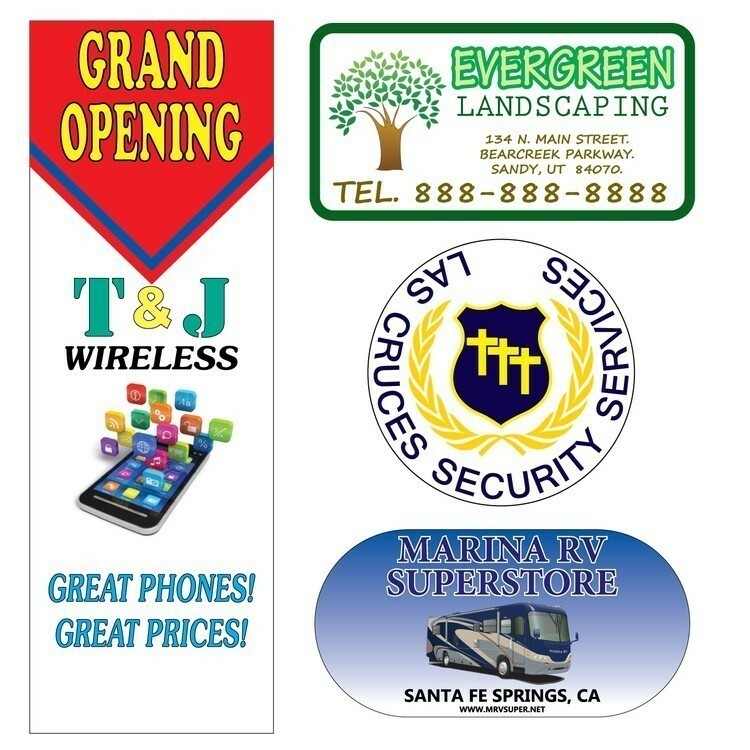 Our Custom White Vinyl & Transparent Polyester Decals are available in 4 materials: * White vinyl permanent adhesive * White vinyl removable adhesive * Transparent Polyester with adhesive on the back * Transparent Polyester with adhesive on the face - All Decals are back slit - For colors to show true on transparent decals a white undercoat is recommended and it is priced as additional color. 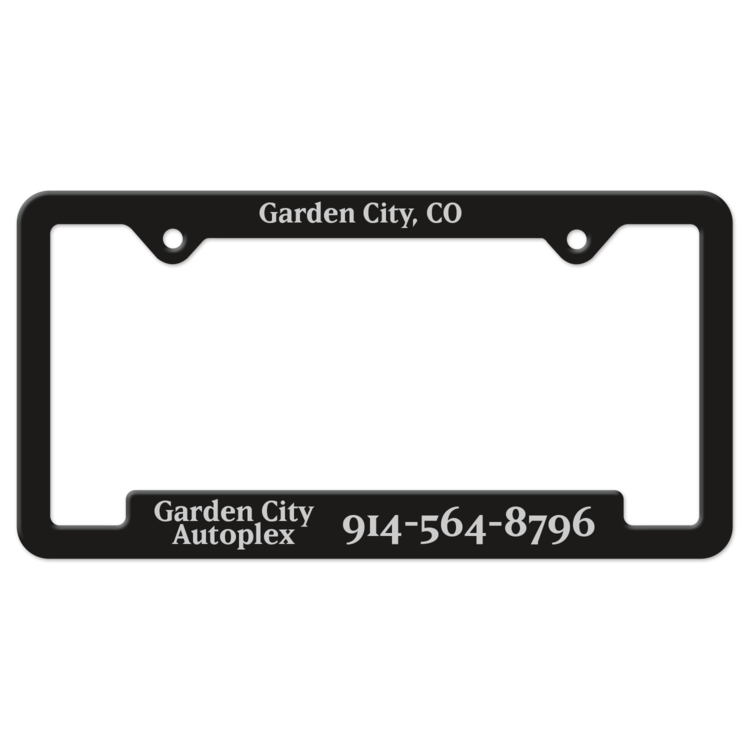 Our Duraframe License plate frames are made from High Quality ABS plastic. 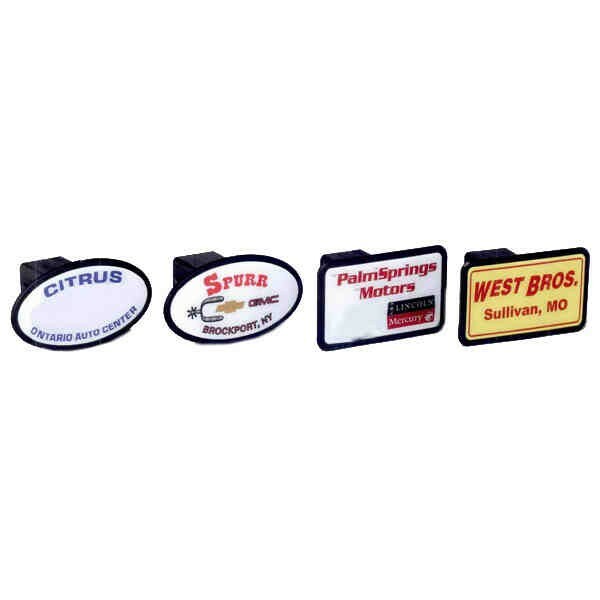 Includes an outdoor durable and environmentally friendly, mercury free polyurethane dome. 5 frame styles to choose from - please call our office for additional information. Choose from a variety of frame options with 3-5 Year outdoor durable inks. Durable plastic with multiple hole arrangements. Material: black molded plastic. Black will be furnished unless otherwise specified. Assortment: No charge for assortment of black and white frames with the same item number in multiples of 125 each. 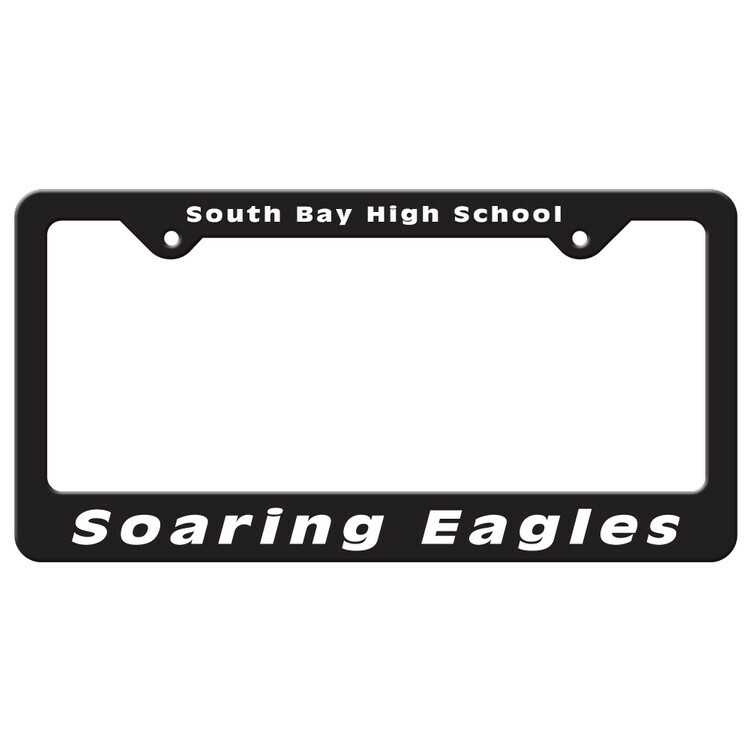 License frames may not fit all vehicles. Check fit and possible state regulations before ordering. 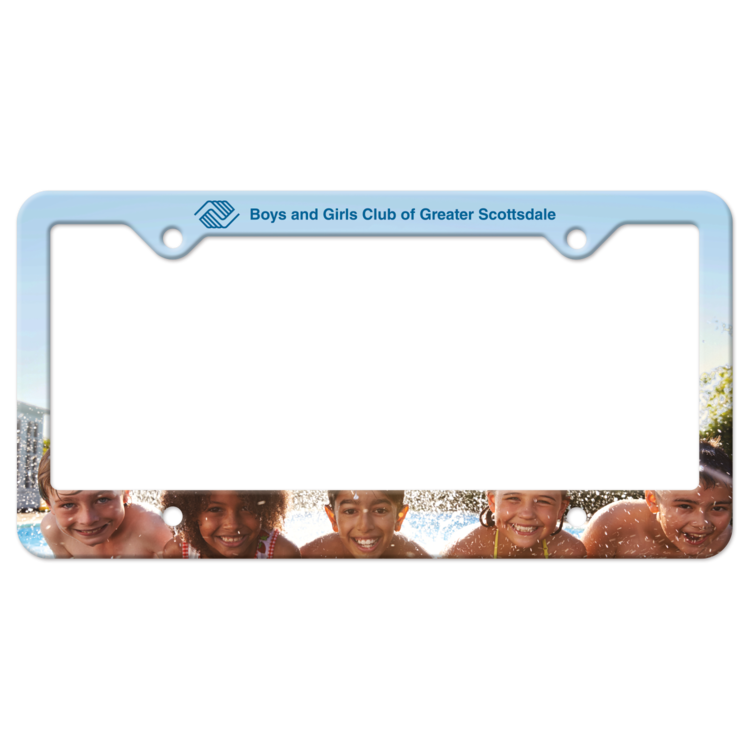 Choose from a variety of frame options with 3-5 Year outdoor durable inks. Durable plastic with multiple hole arrangements. Material: red molded plastic. Black will be furnished unless otherwise specified. Assortment: No charge for assortment of frames with the same item number in multiples of 125 each. 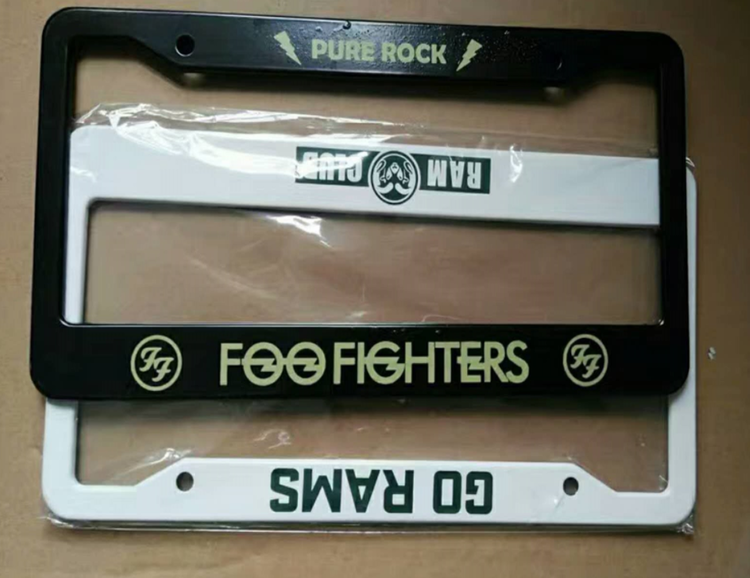 License frames may not fit all vehicles. Check fit and possible state regulations before ordering. 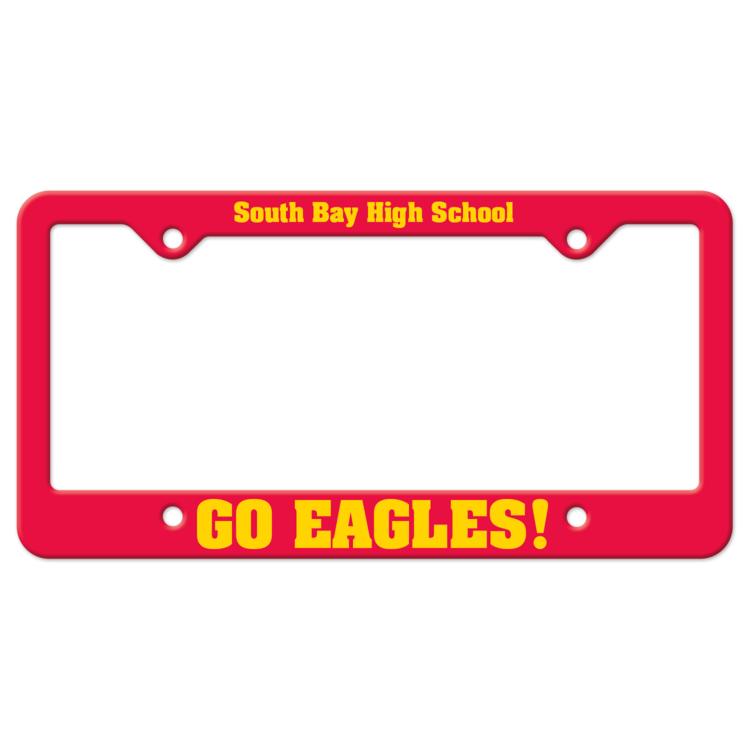 The plate frame is made of aluminum alloy.It allows your logo can be seen as you travel down the highway, in the city or the country. 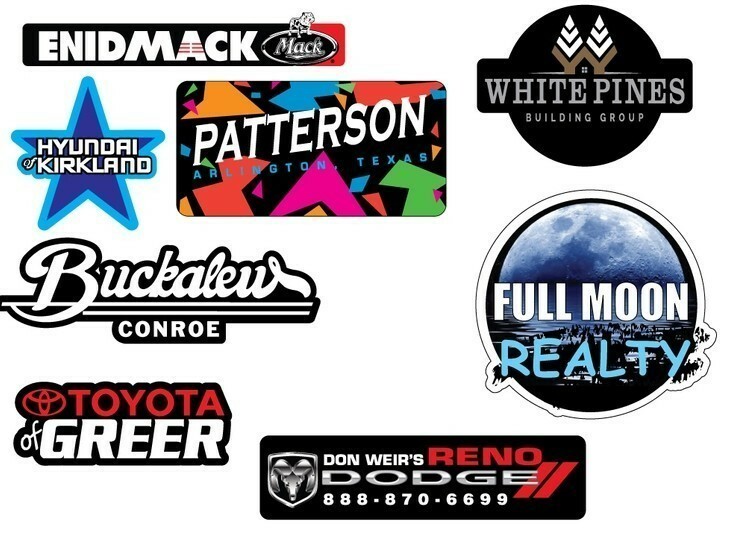 When you leave your car parked while shopping or at an event your logo is in full view. 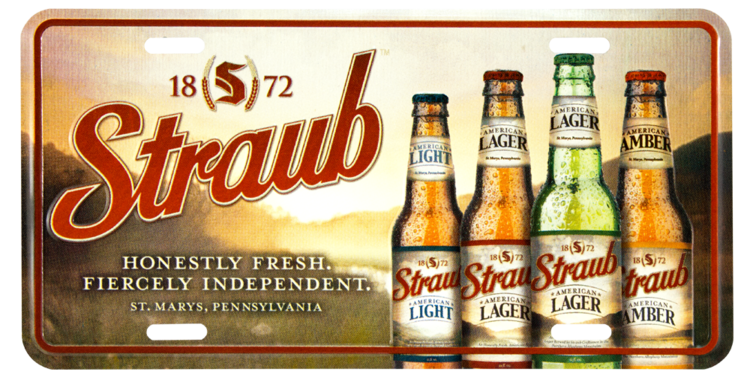 Wherever your vehicle does, and the parking lot is practically a free billboard! 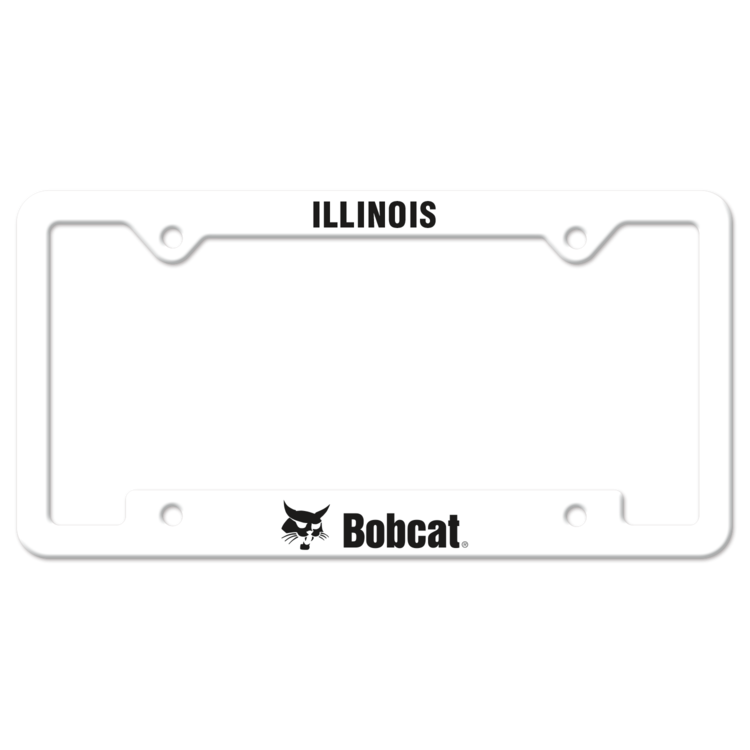 We spend a lot of time behind in the wheel, so let your brand name be seen with a personalized license plate frame and keep on moving. 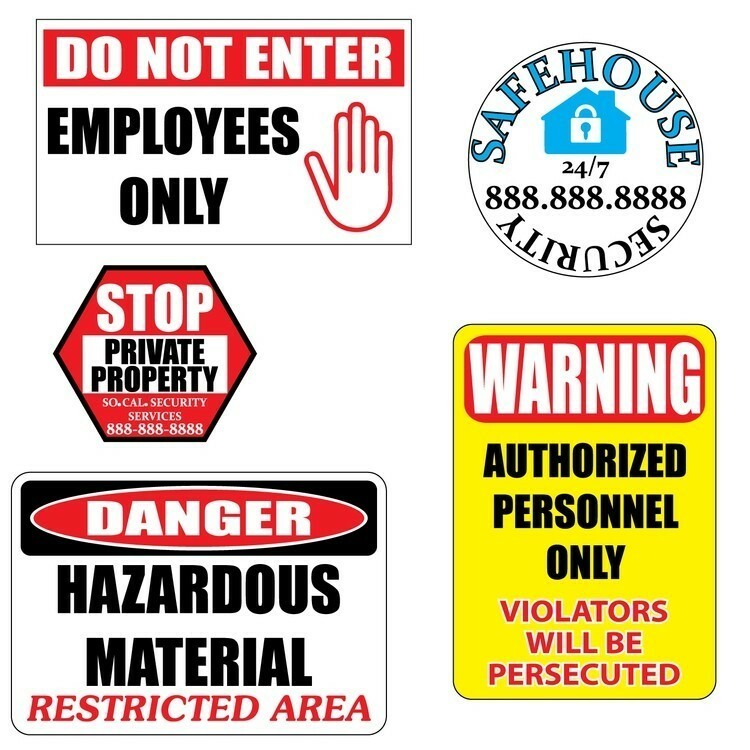 Our Custom Static Cling Decals are adhesive free and adhere to clean surfaces. 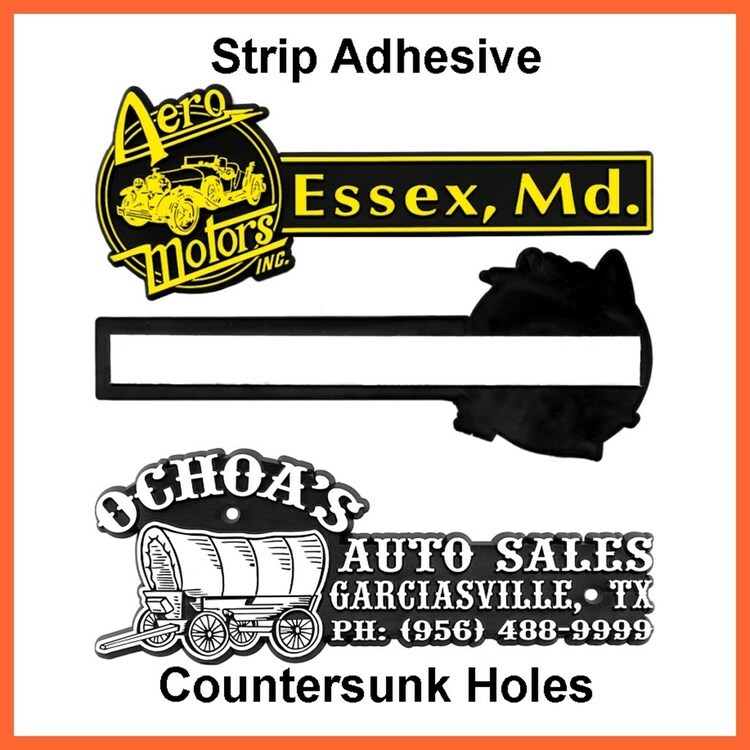 Our Low Tac Removable Adhesive decals can easily removed after use. Full Color: Fluorescent colors and full bleeds are not available. 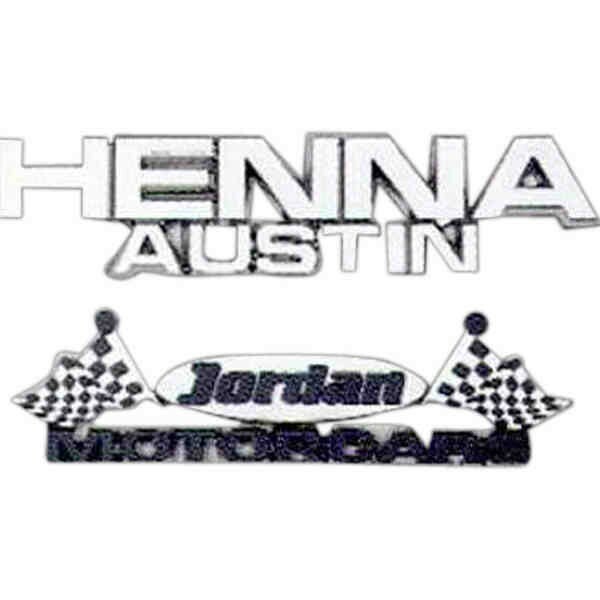 ** Metallic colors are available contact factory for pricing. 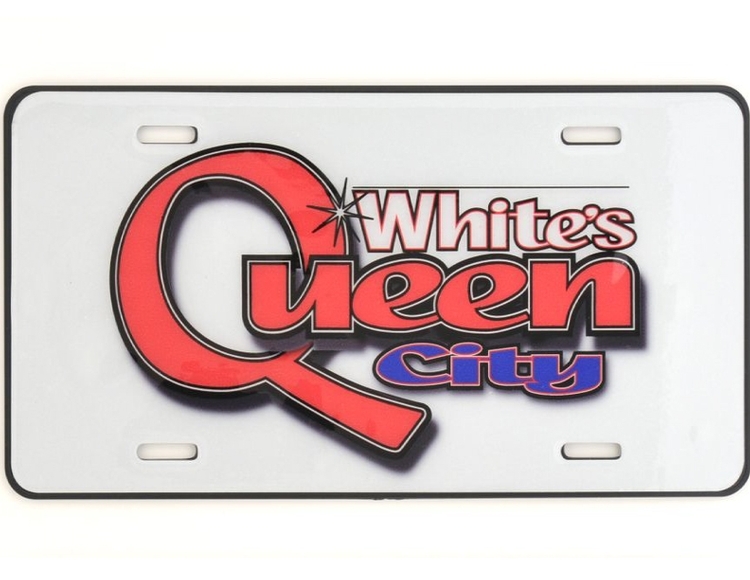 Pvc laser cut Mirror License Plates are .100 (1/10") thick with a .060 thick backing plate adhered to back. 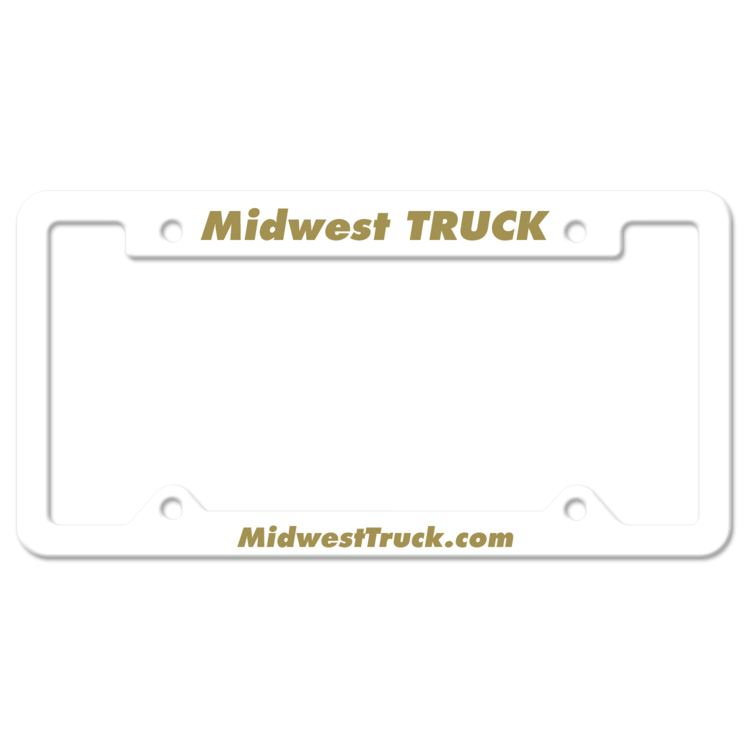 Any two color combination of mirror plate colors may be used together. Mounting holes are in the standard location. 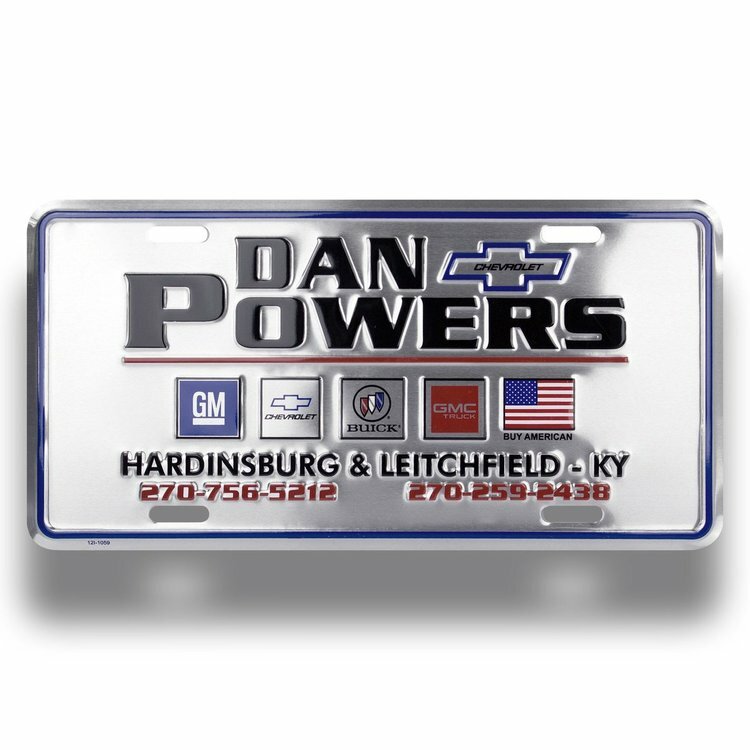 Our Custom Chrome Plastic Name Plates are made from High Quality ABS plastic. 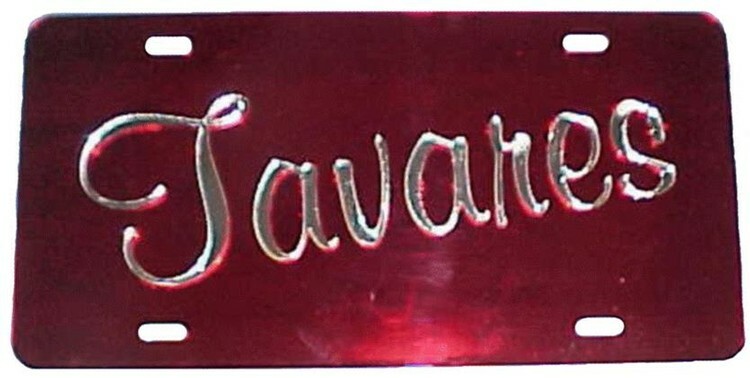 These Name Plates are fully chrome plated and come with or without an imprint color. 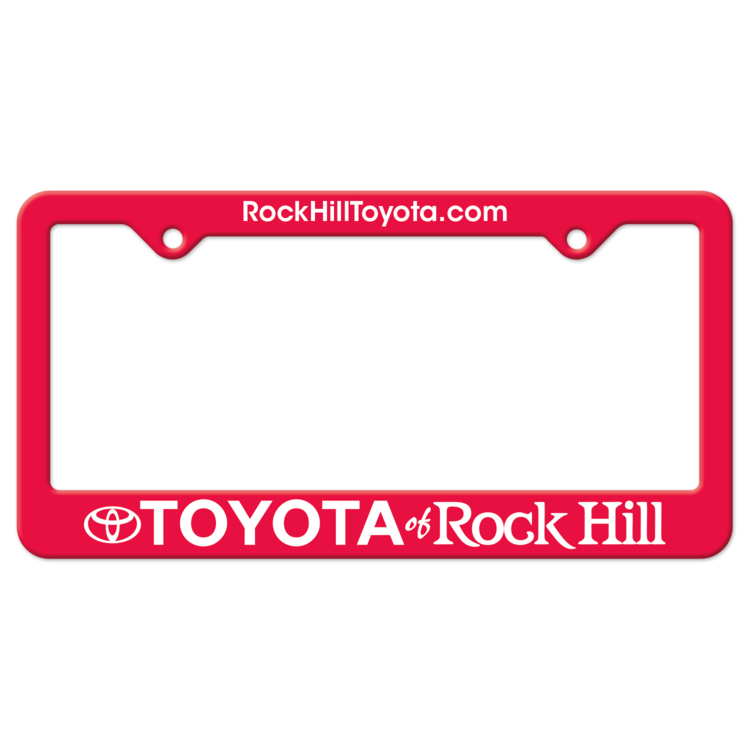 They Come with a 1/2" permanent, double sided adhesive strip on the back for ease in application. Large message, easy to use table throws are machine washable and lightweight. Easy to store and ship. Flame retardant, wrinkle resistant premium polyester poplin. Note: Machine wash on gentle cycle using mild detergent. Tumble dry on low heat setting only. Do not iron or dry clean. Always roll table throw for storage and do not fold on imprint area. Imprint Thermal: Price includes full color. Gradients or halftones not available.